Courage, creativity, and the power of change. How often do you really let yourself wonder: "What if?" For those of you observing Yom Kippur, I hope you're having an easy fast and using this time to reflect on the "what ifs" in your own life. 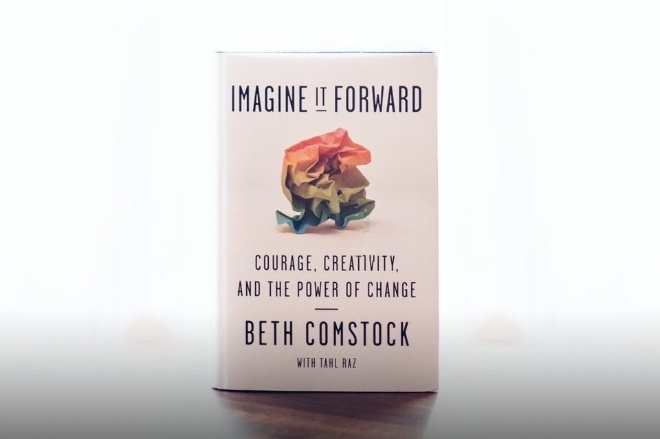 On All the Social Ladies this week, I'm joined by Beth Comstock, former Vice Chair at GE, to chat about her brand new book, Imagine It Forward: Courage, Creativity, and the Power of Change. It was a truly inspiring conversation about giving yourself permission to make a change and the importance of breakthrough thinking. Take a listen. How to imagine a new future for yourself (and then make it happen). 5 things to do when you feel overwhelmed by your workload. Research shows that men speak 92% of the time on company conference calls. Melinda Gates on why she's betting on diversity. 34 one-sentence rules for helping you achieve your dreams. Don't let society fool you.